1. Remove leaves, twigs and other debris from the lawn. Rake up dead plants and work up the soil. Clearing debris and thatch is especially important in late Autumn and again in early spring. 2. Mulch will help keep your plants from having to work as hard to survive during the hot summer months. Mulch helps the soil retain water, contains healthy soil nutrients and protect the roots and stalk of your plants from the sun. 3. Remove weeds and fertilize according to the grass you have. You should fertilize at least twice a year, during peak growing season, but avoid the hottest Summer temperatures. 4. Mow regularly and keep pest under control. These two tasks are probably the most valuable tips for keeping happy neighbors. Lawns should be 2.5 - 3" except during peak Summer temperatures when the grass should be slightly longer to protect the roots. Of course, follow your city or homeowners association policies when it comes to lawn height. Watch for pest including grasshoppers aphids, snails, fleas, and ticks. If you develop a biting pest issue, you may require the assistance of a pest control company to keep it under control. 5. Prune trees and shrubs, identifying and removing dead tree limbs first and then any tree limbs that could be a safety hazard if they fall due to high winds or rain. 6. Water deeply so that water reaches the grass roots. Early evening is ideal. A lawn requires about 1 inch of water per week. 7. 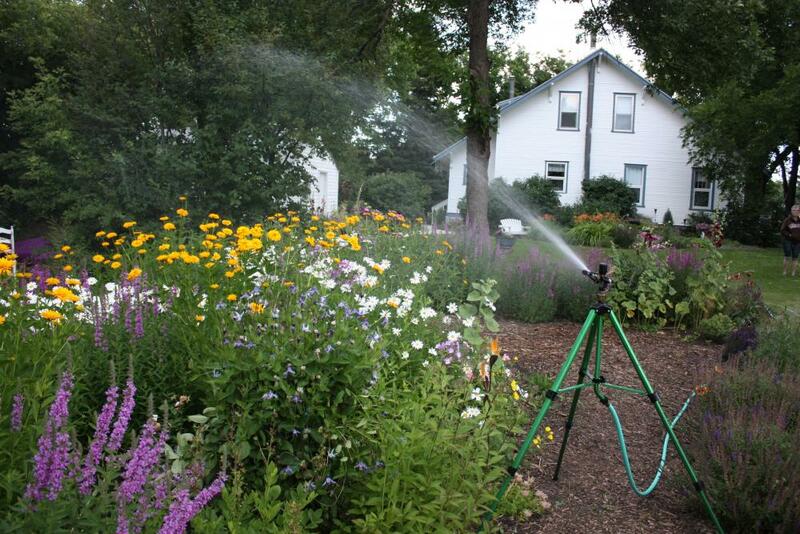 Set up a sprinkler system to provide a consistent water supply to your grass and plants. It is best to water at night or in the early morning hours so that moisture is not evaporated by the heat during the afternoon. Setting a timer for your sprinkler can make this easy, but be sure to monitor and observe any water restrictions your city has in place. 8. For your garden, make sure the soil is ready for growth. A light brown soil is usually an indication of poor soil. Pick up some good compost and add about 15mm to your soil. Do not let compost come into contact with any existing plant stems. 9. Make sure that what you want to grow will is suited for your region. You can find out what planting zone you are in here. 10. Planning to put in a flower bed, shrub or tree? Call before you dig! Did you know there are utilities buried only a few inches below the soil in some places? Dial 811 a few days before you plan to dig to keep your home and neighborhood safe and avoid costly fines or injuries. The call is free and should be made each time you plan to dig. 11. Use containers to keep aggressive plants at bay. You can choose to keep decorative containers above ground, or you can remove the bottom of a container and plant the entire plant and pot in the ground. Either way, you will help prevent the spread of a plant you may prefer in a contained area. 12. Work garden soil when it is moist but not wet. Working the soil when it is too wet can cause the soil to become compacted. Working the soil when it is too dry can harm the soil structure. 13. Don’t plant seeds in a ground that is using a weed and seed product because the seeds will not germinate. You can use plants that are already growing that are available at a home store or garden center. Your soil would be safe for direct seed by the fall if you used weed and seed in the spring. 14. Cover your bed with a thick layer of mulch to help keep the soil from drying out as well as preventing or inhibiting weed growth. 15. Look at what your neighbors are doing and use their ideas! 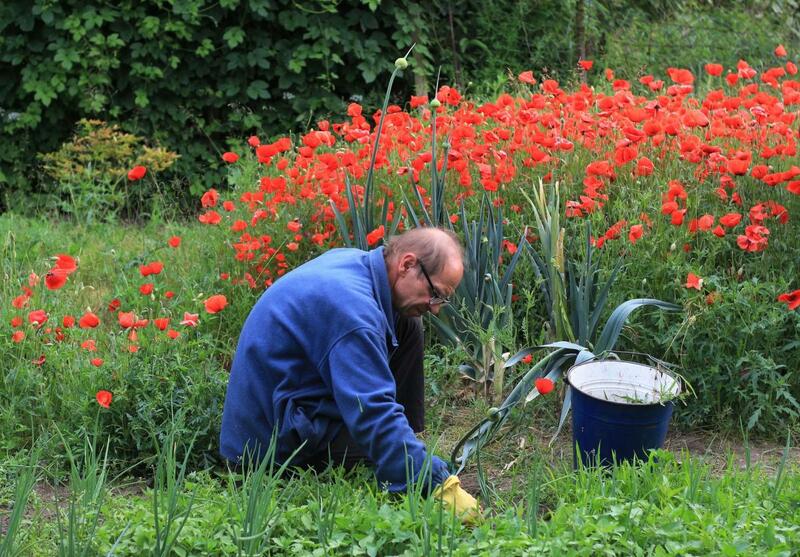 If something is thriving in their garden, there is a good chance it will thrive in your garden as well. 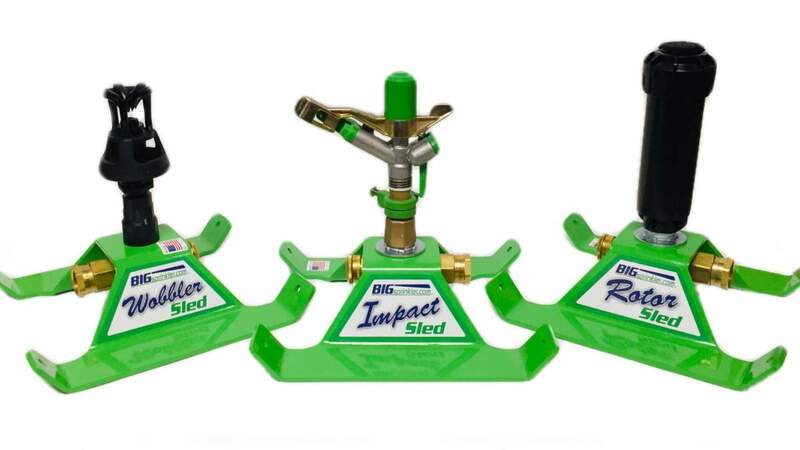 BigSprinkler.com is your source for those "hard to find" commercial grade sprinkler heads, pumps, and accessories not available in local stores. Take a look around and pick up something that will make your lawn maintenance easier and more efficient this and every year. Have questions? Contact us. We're happy to help.